Having started as a painter, Arrieta began his filmmaking with the short films El crimen de la pirindola (1965) and Imitación del ángel (1966) both shot in Madrid, a milestone for independet cinema in Spain. He moved to Paris in 1967 with Javier Grandes, an usual actor in most of his films, where he would live through the events of May 1968. In 1969 he met Jean Marais, leading actor in La Belle et la Bête (1945), Orphée (1949) and Le testament d’Orphée (1959) by Jean Cocteau, of whom he ad been a former lover. With Marais Arrieta would shot his first feature film, Le jouet criminel (1969), that was compared to Cocteau's cinema for his poetic nature. With Le château de Pointilly (1972), he would receive critical praise from Marguerite Duras. 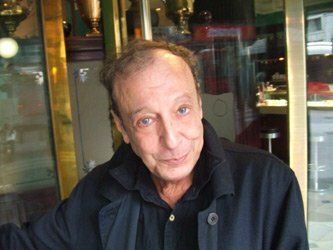 He won the Great Prize at the Toulon Film Festival with Les intrigues de Sylvia Couski (1974), acclaimed by the critics and considered as the first underground parisian film. He would follow with Tam Tam (1976), the record of an uninterrupted party between New York, Paris and Spain; and Flammes (1978), a story about a sexual childhood fantasy turning into a real passion in the adulthood. In the following years he would make Grenouilles (1983), Kiki, la gata (episode of the TV series Delirios de amor, 1989), Merlín (1990) and Narciso (2004). His next to last film Vacanza permanente (2006), was awarded at the Lucca International Film Festival, and meant for Arrieta a creative rebirth. It was premiered in Madrid at La Casa Encendida de Madrid on May 27 2007, during the polipoetry festival Yuxtaposiciones, and presented by the writer Leopoldo Alas. In March 2008 the venue La Enana Marrón in Madrid held a partial retrospective of Arrieta's filmography, screening his most outstanding works. French publisher re:voir and Spanish Intermedio have released a DVD pack containing his complete works to date.